21 Aug 2017 --- The World Health Organization (WHO) recommends a dietary fiber intake of at least 30g per day. Currently, the average dietary fiber intake among adults in the US is about 15 grams a day. CFF GmbH & Co. KG (CFF) produces natural dietary fiber concentrations that are suitable for dietary fiber enrichment in many food applications. 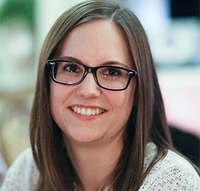 FoodIngredientsFirst caught up with Tamina Geiger, MSc Food Technologist, International Product Manager at CFF who notes that even with major food trends setting the bar high for the industry, the company sees fiber enrichment as a key priority. 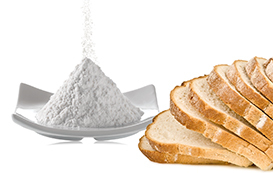 Fat replacement is one of the big topics that CFF are following because their range of functional fiber blends offers solutions for the development of fat replacement in bakery items. According to Geiger, the functionalities of these blends offer a good volume, texture and mouthfeel, similar to full-fat products, but with a lower fat content. Texture improvement, avoidance of syneresis and fat separation, yield increase, and stability improvement are some additional benefits that SANACEL dietary fibers can achieve in foods. SANACEL dietary fiber concentrates are available without E-number and provide high water and oil binding as an anti-caking agent, flowing aid, thickening agent or as a stabilizer. This beta glucan product has been available for some months and, so far has been received positively. “Fiber enrichment and beta glucan enrichment in bakery applications such as bread, cookies and crackers is an area of high interest, especially with a good impact on health, this is what consumers are looking for,” Geiger states. Convenience food is a huge market – people don’t have time to cook and prepare food for the family, so they are interested in looking for good healthy choices. In the past convenience food was not healthy but in the meantime, consumers have more choice and companies have a wider portfolio with clean ingredients,” she says. How does the future look for the business? “All our ingredients will continue to be produced and manufactured at our main facility in Germany. Our main target is growing and creating a solid distribution network, covering the entire world,” Geiger explains. “Right now we have a good distribution measure covering over 50 countries globally. There are still some places where we can increase our distribution network, however. And these are the next steps that need to be done,” she confirms. “There are different global trends, mostly originating in Western Europe and the US, from where the trends move to the other countries. Having said that, each country has their own way of viewing and experiencing food. For CFF, it is important to understand the industry trends first, which makes it much easier to bring a product to the market,” she finalizes. 04 May 2017 --- An online knowledge-sharing platform designed to maximise the potential of whey protein and lactose has been set up by Arla Foods Ingredients.